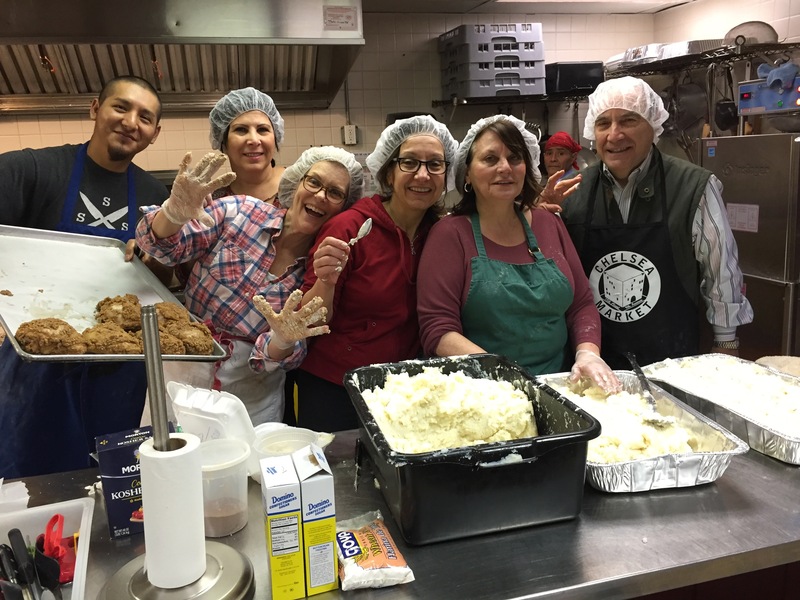 St. Paul Mercy Volunteers are a dynamic group of women and men who come together to support our community within the church and in the greater Greenwich community. We participate in community service that is both meaningful and rewarding – and we have a lot of fun working together as well. We hope you consider joining us – you can volunteer any time your schedule permits. Currently, we partner with the Don Bosco Community Center located just a short distance from our parish in Port Chester, NY. For nearly 80 years, the Don Bosco Center has served the needs of poor immigrant youth and their families through the center’s food and clothing programs. Work is underway to identify other volunteer opportunities within our church community, for example delivering Communion to those residents in nursing homes and at home. We will continue to keep the congregation informed. Until that time…. 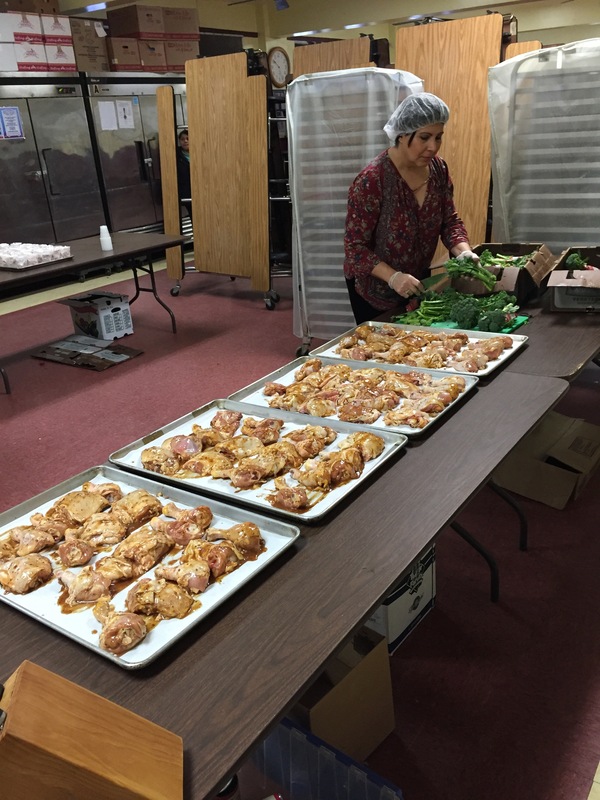 • Each Friday morning, our volunteers lend a hand at the soup kitchen and food pantry at the Don Bosco Center. 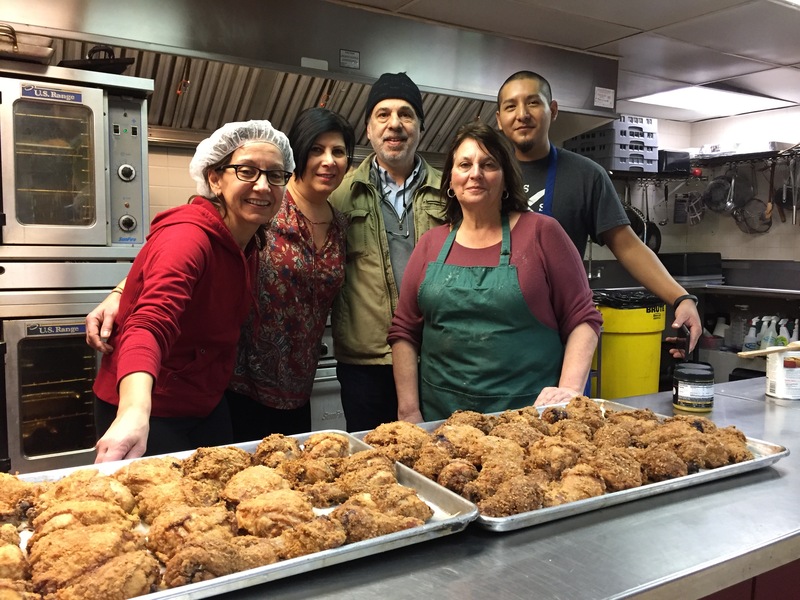 This volunteer group supports the Center’s kitchen staff in serving up a hot lunch for nearly 100 clients, and also works in the Food Pantry that serves more than 600 clients weekly. Our team is on-site from 8:30 am until 12:30 pm each Friday. • On the last Wednesday of each month, we activate St Paul’s teen-agers who make deliveries to seniors living in low-income housing. This adult-supervised activity takes place from 4:30 pm – 6 pm. We meet at the Don Bosco Center, load up about 50-75 bags of food and drive to two local housing units where the teen-agers deliver the food to the doors of seniors. It’s a quick and easy way for your teen-agers to earn community service hours whether for the Boy Scouts or for school. • Available only after-work & weekends? That’s terrific! We would love to have you join our volunteer team! It’s a great way to meet fellow parishioners while supporting a community in need. Our volunteer team is extremely flexible. Please know that no long-term commitment is required. If you are interested in participating as a volunteer or would like to learn more, please email Frank Marino (frank@marinopr.com) or Peg Riemer (pegcriemer@gmail.com). Frank and/or Peg will be in touch with you shortly.